Microsoft's former head of Windows 8 development has agreed not to badmouth Microsoft or work for some of its competitors and in return will receive a payout for unvested stock in the company, according to a regulatory filing Wednesday. 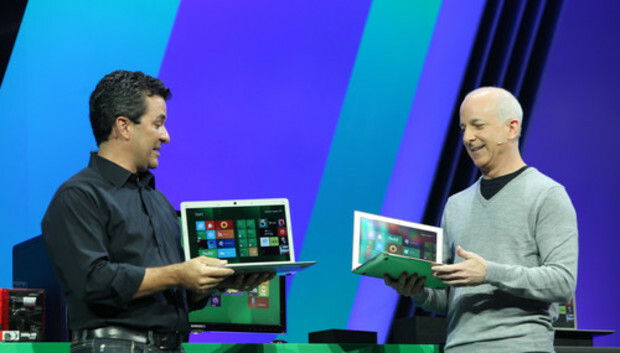 The "retirement agreement" with Steven Sinofsky, who left Microsoft in November after leading the development of its Windows 8 OS and Surface tablet, is described by Microsoft in a filing with the U.S. Securities and Exchange Commission. It didn't provide a dollar figure for the agreement but it said Sinofsky had stock award agreements totaling 418,361 shares, which at Wednesday's closing price would be worth $14.2 million.